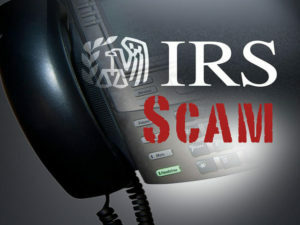 PLEASE DO NOT SEND MONEY if you receive a phone call claiming to be the IRS. The IRS will not request money orders, gift cards, prepaid cards or other forms of payment over the phone. If the IRS needs to speak with you they will send you a certified letter.